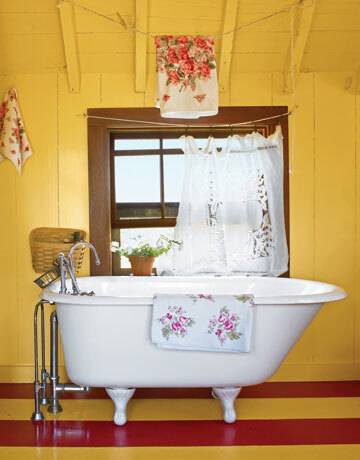 ... and use YELLOW, PINK, GREEN AND ANY NEUTRALS in your design! 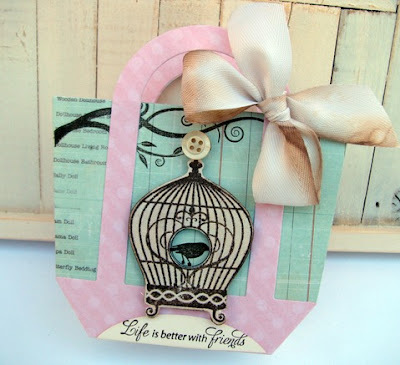 I am pleased to introduce you all to this week's Guest Designer, Kylie Kueter - Kylie's Kraft Room! Kylie earned this Guest Designer spot for her win during Week #62 - 'Monochromatic'! 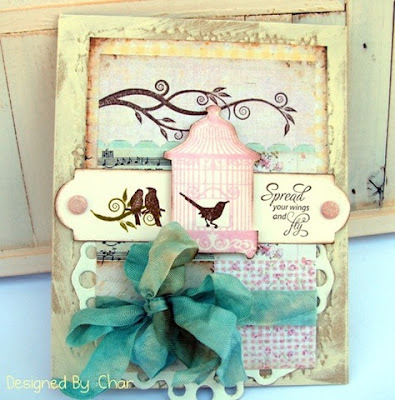 And our June Special MONTH-LONG Guest Designer is Tammy Roberts - Paperie Sweetness! Spread Your Wings -- TWO cards this week!! 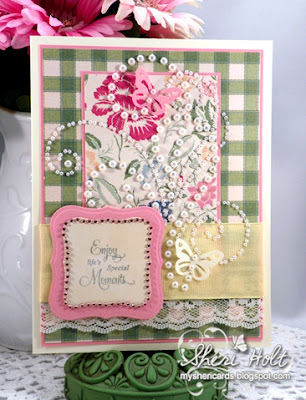 The Shabby Girls are pleased to welcome our back our regular bi-monthly sponsor - JustRite Stamps! 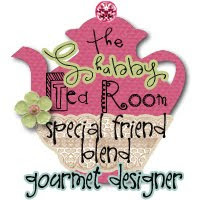 We are so excited about our new introductions for Summer - they are Fresh, Fun and more versatile than ever!! JustRite Cling Stamps & Spellbinders Dies a perfect match! 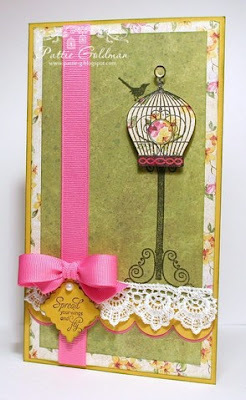 2011 brings the opportunity for JustRite to introduce new cling stamp sets designed to coordinate with Spellbinders CHA Summer 2011 Release. 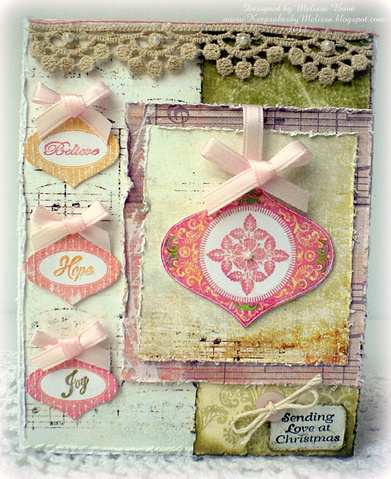 JustRite’s new cling line is also designed to coordinate with their JustRite Original line of stamps --- add a cling stamp set to your JustRite Collection to give a set in your collection a bold new look. Prize package has a value of $44.90. 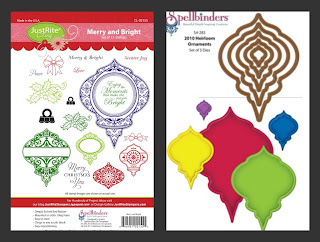 Merry & Bright Cling Set and the coordinating Spellbinders Die – 2010 Heirloom Ornament Die. 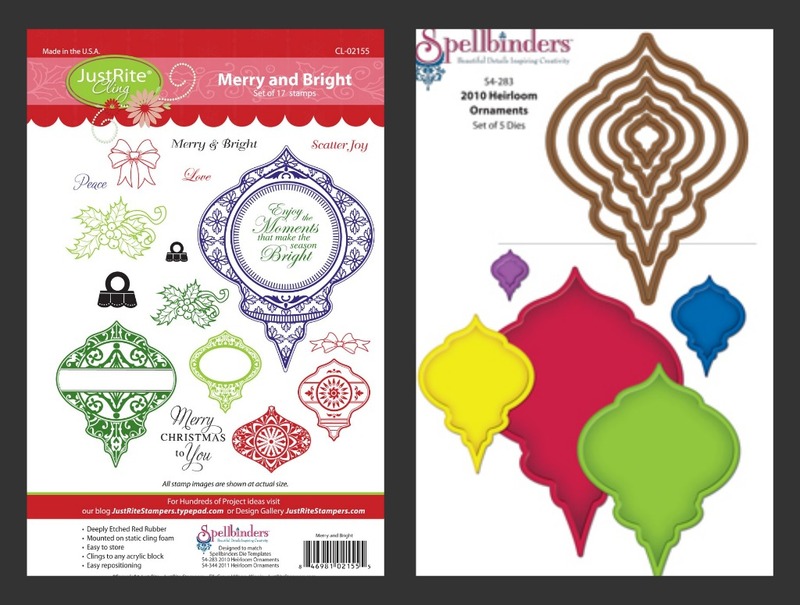 Link your creations below by Sunday, July 31st to play along. 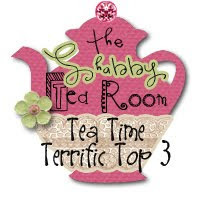 Winner and Tea Time Terrific Top Three will be announced Monday, August 1st. We will have an all-new challenge for you to play along with on the 1st as well, so please come back and visit with us again for another chance to win! Wow.. I love these challenges.. I didn't participate in any for a few months.. hope to be back.. 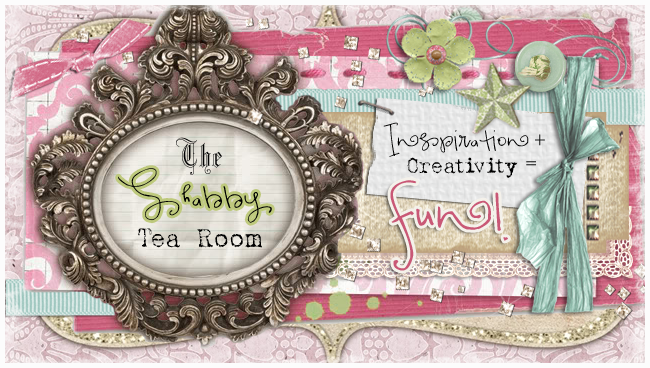 Shabby tea room always has the best challenges & such beautiful work. Thanks again. I enjoyed working to your inspiration photo and thanks for the chance to win such an amazing prize,it was great to challenge myself to improve and great to see what everyone else comes up with. 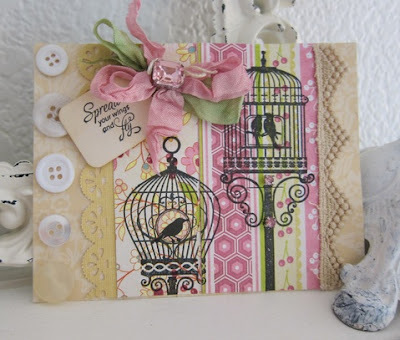 Thank you for this week inspiration, so beautiful photo, and fabulous creation card too . 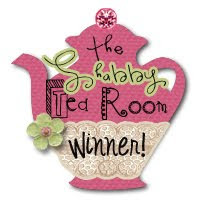 Week #71 - ' So Charming' WINNERS! Week #70 - 'Flower Power' WINNERS! Week #69 - 'Happy 4th of July' WINNERS! Week #68 - 'My Favorite Things' WINNERS!